Want personalised Ceiling Accessories recommendations, direct from manufacturers? 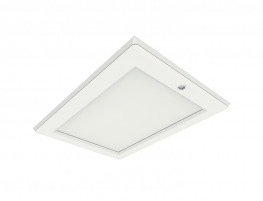 Ceiling Accessories allow you to alter your ceiling to enhance its functionality and performance by providing easy access to your loft, attic, or the space above your ceiling – think ceiling access panels, loft access doors and panels, and much more. Using SpecifiedBy, you can search the biggest range of products in the UK, allowing you to source and compare the Ceiling Accessories solutions for your project, from the industry’s leading suppliers, such as Access Building Products Ltd, Alumasc Timloc Building Products, British Gypsum, Cavity Trays, Excel Fibre, Hambleside Danelaw, Howe Green, Jupiter Blue, Manthorpe Building Products Ltd, and The Access Panel Company. Search and compare plastic access panels, premium ceiling double doors, plastic handi-access panels, metal faced access hatches, value range access panels, plasterboard doors, circular access panels, tiled wall access panels, roof hatches, and more.